It looks like the Wall Street Journal was able to demo what it said is “an early version” of Maps with AR. 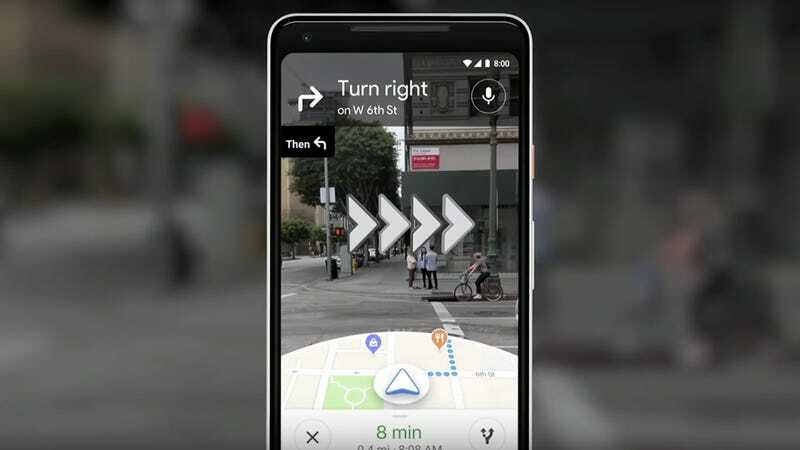 The feature doesn’t look too different from the one Google previewed for developers last May, with Maps appearing on the lower half of the phone’s screen as the top half navigates the user’s real-world surroundings. 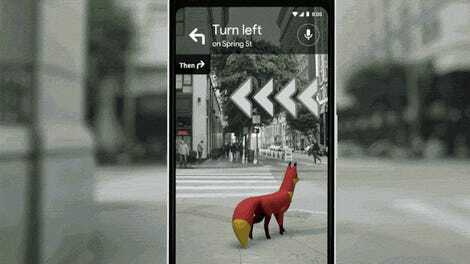 With some minor tweaks, even the blinking arrow system used to steer users to turn looks similar to those from Google’s presentation. I am, however, very sad to report that there was no adorable fox guide in footage of the Journal taking the app for a spin. 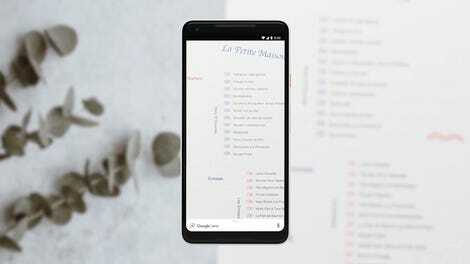 When the tech giant teased the feature during I/O, Google’s Aparna Chennapragada noted that the project’s team was “playing with the idea” of adding digital guides. According to the Journal, one version of the app had “an adorable animated guide named Pizza Man, but he made users look at their phone too long.” So it’s not clear whether we can expect animals or pizza people guiding us through our world in the future. The Journal said that while the AR version of Maps is being tested by a small, select group, the feature isn’t going to see an official release anytime soon. It could also change quite a bit before then. We’ve reached out to Google for more information about the feature and will update this post when we hear back. Why Can&apos;t All Map Apps Be This Clever?